This might be the first substantial leak of the Galaxy S6 with images showing the brand new design adopted by Samsung for its ‘Project Zero’ 2015 flagship. After hardship in the past couple of years, the company has gone back to the drawing board, trying to revise what a high-end flagship should look like. The end result might be this alleged aluminum unibody of the Galaxy S6. The leak comes from French publication NoWhereElse, which has an excellent track record with Apple and Samsung rumors. It does come with a warning that those images come from an early batch of Samsung phones and while chances are we’re looking at the Galaxy S6, it’s not 100% certain, so do take this with a grain of salt. An evergreen aluminum design has been at the core of Apple’s design success with devices like the iPhone 6, iPads, and Macbooks, but on the Android side of things companies like HTC have also pulled off great-looking aluminum flagships. 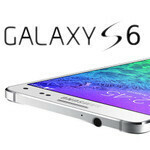 Would you prefer such a unibody aluminum Galaxy S6 design over the traditionally used by Samsung plastic? Its a samsung product. It can't thrash anything in looks. lol. who are you kidding, not me. The Note 4 is currently the best looking smartphone. when S3 was first announced, it was one among the best looking phones until the design became very very common. Sorry bro, this is nothing but a galaxy alpha with a metal back which looks like an iPhone 5/5s. It also looks like the battery will not be removable which is its main selling point. since when a non-removable batt is a selling point??? I think they meant that the removable battery is a selling point, and that they will lose sales if they remove that feature. Lol, let the phone get announced first. Fanboys, man I tell ya. This doesn't matter to me personally. The first thing I do with a phone is put a case on it. I would rather them put more battery in tje phone. I freaking hate Aluminum phones. My M7 got pits in its aluminum INSIDE of a Seidio Surface case. WTF is the point of a case if inside of a case it gets damaged. Give me Polycarbonate, or throw it back. Dont be a lil betch and not use a case. I've dropped my phone once and it wasnt my fault. Whats the point in designing a phone if its always gonna be put into a case? Might as well just make every phone a rectangular block. They can release two flagships. One for looks and the other for utility. As long as the internals are the same. I registred just to reply you. Yes this phone WILL fail if it abondon removable batery. Reason is NOT carrying a spare battery - very few users do that! But after few years battery WILL start to degrade. In very large parts of word phone must go more than two years. Not necessary with same owner, but will be either passed to family members (or friends) or sold. Maybe not important for USA and rich people around world but for common people it is. The battery will only noticeably degrade if you buy a cheap s**tty phone. My iPhone 5 lasted for 2 years no problem, I got through every day on a charge just fine. And there's no reason it would get worse if I used it two more years. The iPhone and most quality flagships have good, expensive batteries in them that last a day at least for years. No need for a removable battery, it only ruins design. Speaking as a 38 year electronic engineer this is not true. If you understood how Li batteries work, they only have a limited number of charges available to them. The charge life of a given Li battery is a factor of the size (ma rating), length of each charge (what percentage of the battery needs to be recharged per charge cycle) along with now often it is charged (every day, ever other day, etc.). I owned two HTC one M7s which were charged ~80% once per day. Both phones began to suffer significant charge time losses after 18 months of use and had to be replaced within 20 months. I don't think HTC uses cheap batteries. I'm one of the few people that carry spare batteries. As I'm sure everyone knows, it's not just how much you use your phone, but how strong a signal you have. I often work outside in areas with poor reception and it kills my battery. I carry 2 spares and it essentially takes me about 20 seconds to fully charge my phone again. I also agree with burekbrigada. After a year or so the battery will be a lot less than new and switching out the battery a nice feature. Just think, after 1 year, a typical battery will have been charged 365 times. Shouldn't be a problem. All that needs to be done is include a battery that lasts 2 days with very heavy usage, takes one hour to fully charge, and that is guaranteed a free (or steeply discounted) replacement within 5 years.